Kate is a compassionate and straight forward reader. Her readings delve into a person's past and leads them into their future. She begins by ensuring a connection to the individual's specific energy. Spiritual chaperones, of both Katie and the individual's, give Katie distinct information for her clients. The intuitive guidance provided to Katie ranges from emotional and physical descriptions, to memories and messages specific to the individual. Clients are amazed and grateful for Katie's insight into their lives. Katie is an avid animal lover. She is the proud parent of three dogs, an African grey parrot, and a Russian Warmblood horse. Raised by a devoted Catholic family and after a near death experience, Katie's spiritual curiosity was peeked at an early age. The decision to read professionally came after many years of study under professional mediums and decades of intensive work in spiritual development. She currently coaches aspiring intuitives, as well as, continues to expand her own base of knowledge. Her belief is that learning is never complete. Katie was just simply amazing. She was spot on in everything she read for me, including an issue with my health, my Grandpa showing up for my reading, and a very difficult situation in my personal life. She was incredibly kind and supportive while remaining honest in what she saw coming up for me, shared experiences to help provide solid advice, and followed up with me afterward in getting a copy of my reading and just to see if I was ok, since it was so difficult. She is one classy lady. I had a reading this past weekend with Katie and it blew me away. She was able to share so much detailed information that helped me beyond measure. I immediately knew I would be forming a relationship with Katie and will be speaking to her regularly. Her talent, commitment, and grace with her craft are unlike anything else I've seen. Her approach and style are amazing. She is a true gift. Thank you, Katie, for sharing with us. I will forever be grateful and connected to you! I am in awe of Katie’s gift in mediumship. She allowed me to connect with my mom and other deceased family members. It was truly one of the most incredible experiences for me and Katie was so down to earth, real and raw with us. I cannot wait to have another session with her! I first met Katie in July 2016. Struggling with the age-old question “what am I doing with my life?” I needed some guidance! My husband came along in hopes of connecting with his parents, both who had passed on. Katie knew things that would be impossible for anyone who didn’t know us to know. She connected my husband with his parents and told me that my life's calling was to be a mom. We're expecting our first baby in August! Katie is truly gifted and we highly recommend seeing her! I loved her....she was spot on with everything she told me. And the one thing I did not understand popped up 2 days later and I understood it. She was able to connect with my loved ones and help me to heal. I will recommend her to others and I will have many more readings with her in the future. I had my first reading reading by this young lady and I was very encouraged by the predictions she made. I must say she was dead on about the people we spoke about. Now, I am anxious about the future. I will use this medium again in the future. She took her time with me and explained everything in depth. I went to a reading with Katie with my mother. Katie not only focused on connecting with our loved one but also on what we can do every day to be connected with our loved ones and our sprit guides every day. Katie was very understanding and down to earth, really such a joy to experience that with her. A million thank yous will never be enough. I've had 2 readings with Katie. Once in person and once on the phone. Both readings were spot on and I felt like she knew my loved one personally. I recommend Katie to anyone looking for a reading and am already thinking about when I will schedule another reading! Katie was such a joy to talk to! It was the best reading I've gotten and I'll definitely chose her again. Everything was pretty spot on and I was also able to connect to my aunt who recently passed. Katie read me a few months ago and was amazing! I was able to connect with my sister and after the reading I felt like I had just had a conversation with my sister. Katie is amazing!! From the first moment, you will realize how gifted she is and how much she cares. She was able to to quickly connect with any issues, and more importantly my family on the other side. She is very kind. I will ask for her guidance again, and would recommend her gifts in an instance! I had a reading September 2014. Right away Katie was able to tell me in detail about myself and correctly acknowledge my family and friends. Katie had told me my car breaks needed to be fixed. At the time I did nothing, however 3 months later I started to hear a funny sound from my car. I took my car in; sure enough my brake pads had to be fixed. Since meeting Katie, my entire family has now been read. My Grandmother (whom passed in 2005) has given many amazing details through readings to Katie. Katie was warm, sincere and very easy to talk to. She guided me through a very rewarding reading by connecting with my dear, departed wife. Through that connection Katie revealed things that only my wife would have known. It gave me peace of mind to know that my wife was in a good place and watching over us always. Katie has a very special gift and she shares it just perfectly. Do not hesitate to let her help you as she did for me. Katie is the real thing. She helped me understand myself better and have trust in myself. Very understanding and down to earth. I loved talking with her and would recommend her to anyone who desires to hear the truth. Thank you Katie!! I had my first reading with Katie, what a great experience it was. I had all my questions answered and more. Katie is a wonderful person with incredible abilities. I highly recommend Katie to anyone! Katie Starnes is the REAL deal! She has a very special connection and delivers information with amazing accuracy. Out of the many mediums I've come in contact with, Katie is at the top of my recommendation list. I've often wondered if she even knows how gifted she truly is! At the time of our reading, we had no idea she'd be featured in my second book, "We Need To Talk: Living With The Afterlife". I'm still in awe of her talents...and always will be. You won't regret your time with her. I had my very first reading with Katie back in April. She was very down to earth and straight forward. She helped ease my fear of the unknown and helped direct me into the direction I needed to go in. She even spoke with my Great Grandmother who has been passed for years. She shared a moment from my child hood with many details that no one would possibly know. Katie is GREAT and I highly recommend her! Thanks Katie! I cannot express enough how fantastic, and spot on Katie was with not only myself but every guest at my party. If you don’t believe in anything that anyone claims as a Psychic or Medium.....give Katie a chance ....open your mind and prepare to have your opinion changed for the better. I have been to many psychics in my life, but Katie is different. She is very accurate with her reading, but also such a great person. Come to think of it, time for another reading! Katie is awesome. It was refreshing to meet such a genuinely nice person. The reading was great!!! THANK YOU KATIE!!!! kate was amazing she helped me connect with my grandmother and aunt she was right on target she told me thing my family would only know ,she tells you like it is she gave me so much info about my loved ones so i was able to validate them i suggest anyone looking to connect with a loved one to contact kate . I've contacted Katie twice and have never been disappointed. Her readings have brought me great comfort, clarity and guidance. She is very friendly and is straight-forward. She put me at ease with her friendly demeanor and professionalism. I will continue to contact her in the future. I have been to many psychics and Katie is the best I've seen. There were four family members having readings and she was accurate with every single one of us. Please don't hesitate to call because she truly is gifted and has the ability to connect with loved ones. Thanks Katie!!!!!! Kate's reading was informitive and I didnt realized a few things when she said them. Kate knows what she doing. She is kind, loving and full of energy. What will she find for you? Over the years I've had many conversations with many very good psychics and mediums and Katie is bar far the best I have ever experienced. I am still in awe of her abilities and her talent! 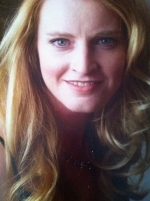 Katie is the perfect fit for anyone interested in a reading or connecting with lost loved ones. For those who have had readings before she will confirm your belief in the hereafter and for the skeptic, she will make you a believer. I'm so thankful Katie has come into my life and I know you will be too! If you're looking for a TRUE psychic/medium, do yourself a favor and call Katie. Not only does she have an amazing medium ability but her psychic intuition completely blew me away.She connected with my late mother and she was unbelievably accurate. I've stayed in touch with her and I've recommended her to everyone I know. If you're looking for a real, reputable medium/psychic, don't hesitate to call Katie. You won't regret it.